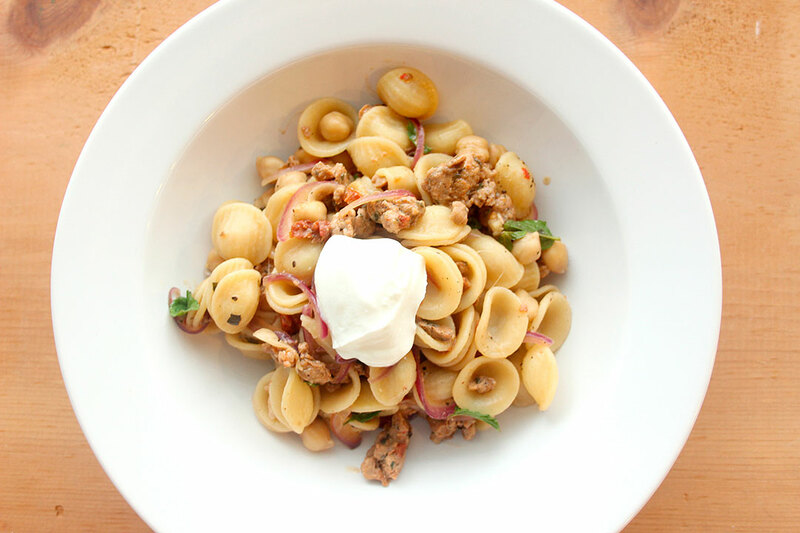 You may have noticed with some of our low carb recipe posts that we were on the 4 Hour Body diet for about two months playing around with recipes and trying to get more fit. 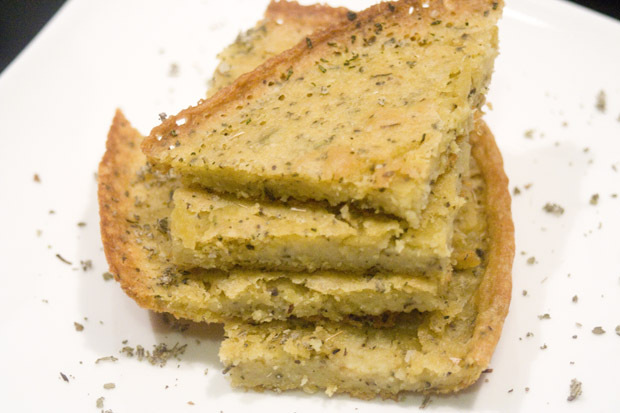 We love the idea of low carb and cutting out wheat/gluten specifically so we started experimenting with bean flours. At the onset of our curiosity we were still living in Costa Rica where you couldn’t find bean flours at all and I suspect if they did have them they would be cost-prohibitive (think $10 per bag of flour), but I was told you could grind your own dried garbanzo beans into a flour if you had a strong food processor or coffee grinder. I looked up a few how-tos on the Internet and just decided to go for it. Dried garbanzos are cheap in Costa Rica, so if I screwed it up it would be no big deal. 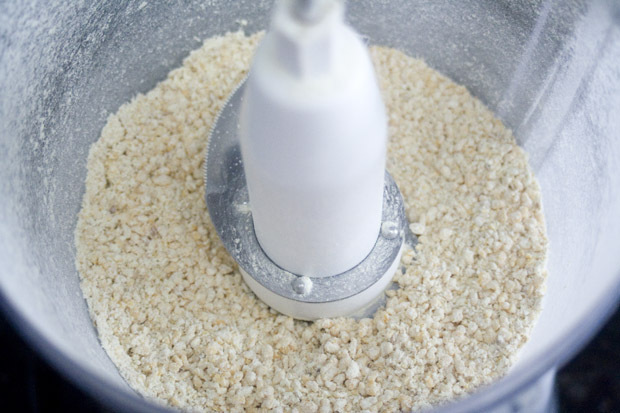 The decibel level of sound coming from my food processor was something I’d never heard before. 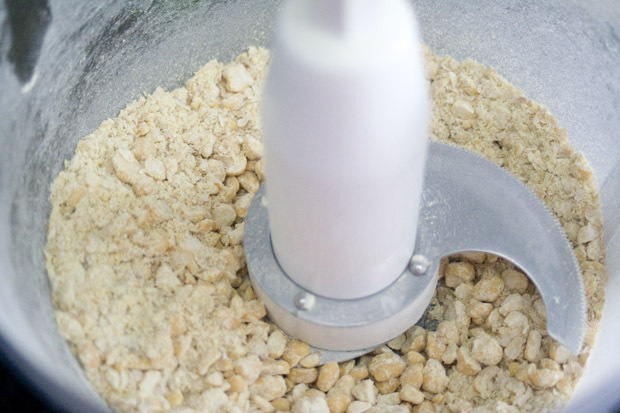 I know dried chick peas are hard, but these little suckers hit the side of the food processor off the blade at a blazing speed and it took a good 5 minutes to pulverize them into a flour. I had to do them in 30 to 45 second bursts because I could feel how hot the plastic and the machine were getting during the process. 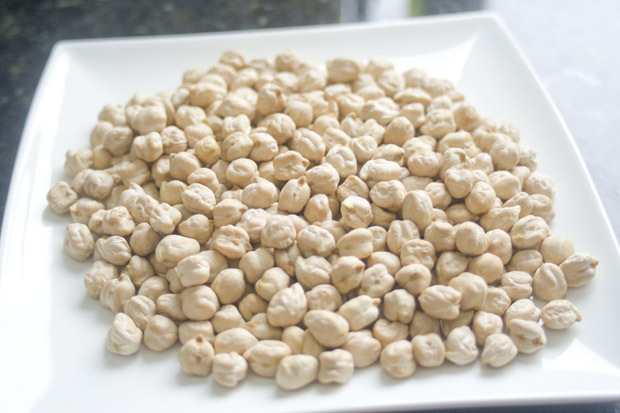 Overall, if you could choose between making your own garbanzo flour and buying a bag already made, I would suggest skipping the hassle and buying the pre-ground beans. I haven’t ground the beans myself since this initial try. It was just too loud and too much work for me and my food processor. 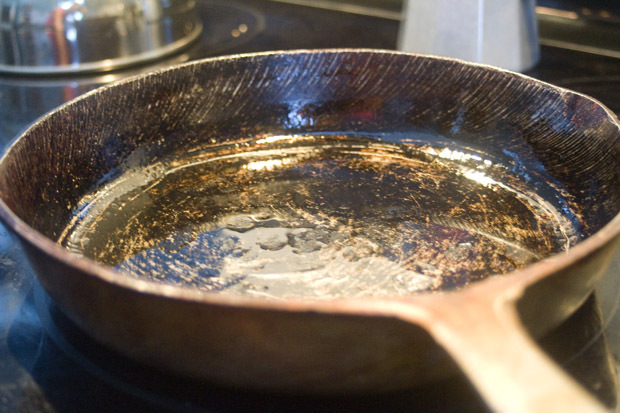 Pour 2 Tbsp olive oil into the pan and coat the bottom. Place into the oven while pre-heating. 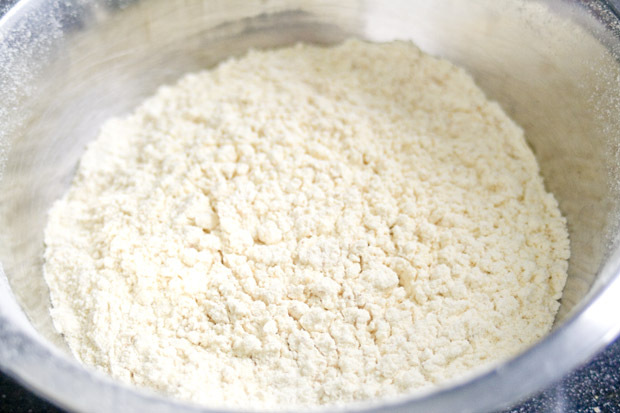 In a medium-sized mixing bowl, pour garbanzo flour, baking powder, spices and salt. 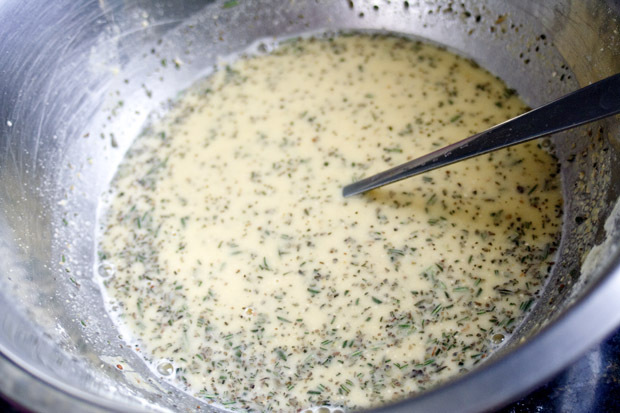 With a whisk, mix well. 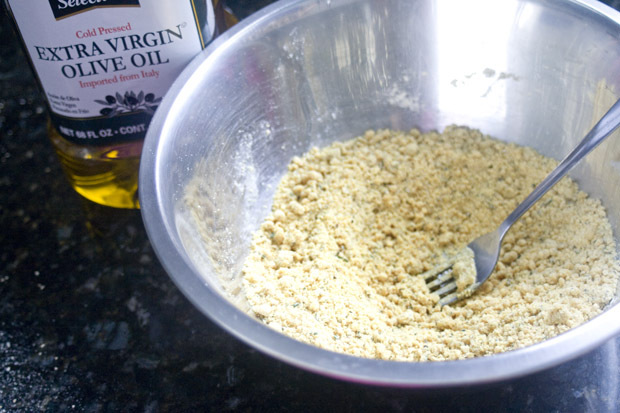 Add the additional 1 TBSP of olive oil to the dry mixture and blend in. Pour in the water and whisk until well-blended. Allow batter to sit for up to 12 hours or use immediately, whisking just before pouring into the hot skillet. 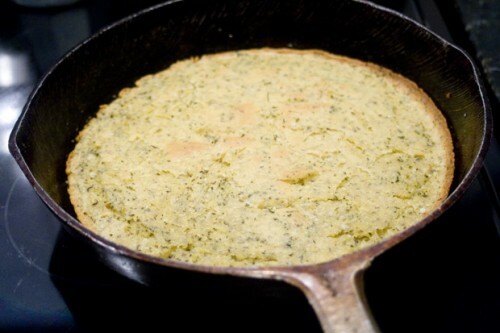 Pour into preheated skillet and bake for 30-40 minutes until the edges are browned and pulling away from the sides of the skillet. 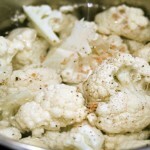 Cool for 10 minutes, cut and serve with butter or seasoned olive oil. 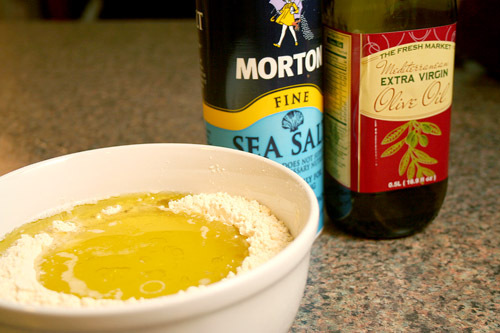 Make a well in the center and pour in the olive oil and water. 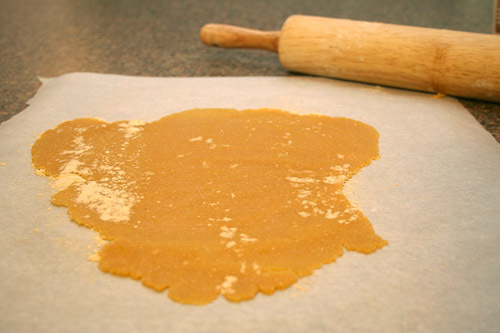 Roll the dough out into long, irregular shapes onto parchment papaer. 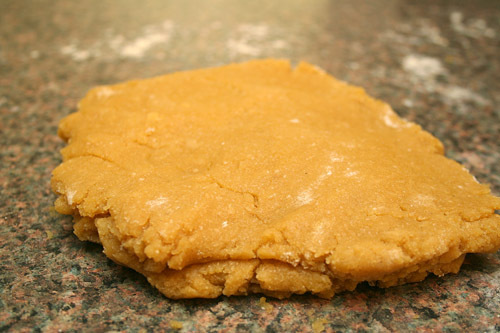 There’s no need to be precise here just flatten out the dough to about 1/8″ thick. 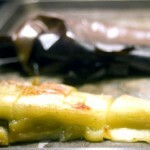 Baste with extra olive oil and gently press the thyme into the dough so it sticks into it. Stab several times with a fork and sprinkle lightly with sea salt and Asiago cheese. Bake for 5 minutes or until it’s golden brown. This round of flatbread was to die for! I’m super happy with the way they came out and did devour all but the 4th batch of flatbreads we made that night, and they only lasted until the morning the following day. But don’t worry, we’ll be making more. 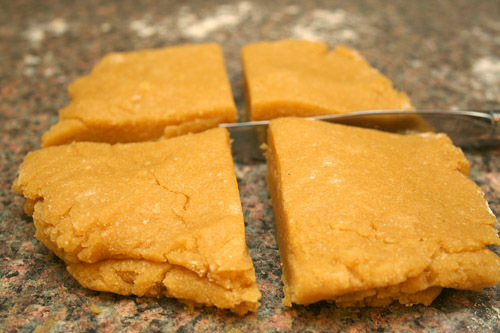 I hope you try this recipe out and don’t be afraid of the bean flour, everything turns out okay in the end. 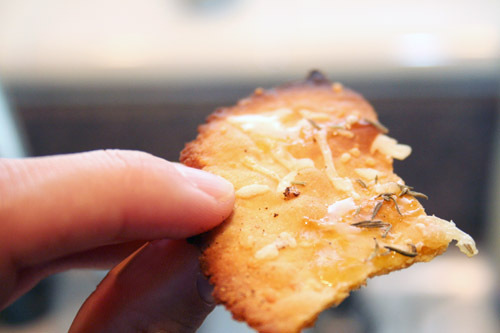 Plus, this is an extremely low carb snack if you leave off the honey. I bet that would be yummy with some melted parmesan on top! do u think it will be ok on a baking sheet? Sorry for the delayed reply Gail, you should be able to use a baking sheet okay, but I would put down some flour on the pan so they don’t stick, or preheat the sheets before putting on the dough. Hope this helps! 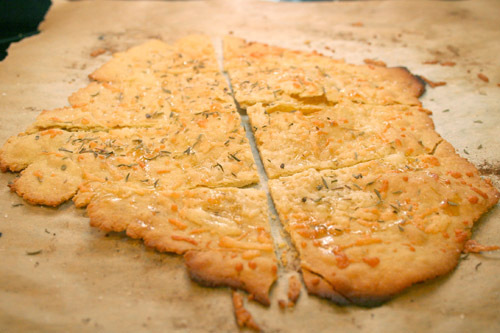 I’m going to use this recipe and make pizza, use oregano in place of the thyme, add toppings and bake another 5-6 minutes. what a great idea!! Should be delicious. Hey there! I’m having trouble figuring out when this was written, so sorry if this is a stupid question, but have you played around with the gums yet? I live in a southern town who thinks health foods are sins. lol! I halfway agree with them, but begrudgingly I am trying to eat better because I want to see if it really makes a difference. Finding healthy food in this town was impossible until two weeks ago. A new store opened that is a cross of Publix and Trader Joe’s. I’m tickled to death. I was out of town when it opened but I went by there today and I felt like a kid in a candy store. I bought something like 5 different flours and I want to try them all and see how they go. So! 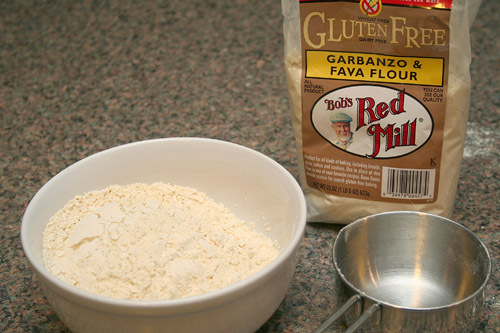 I was intrigued by the same Bob’s Red Mill flour you have here and brought it home. I Googled what to do and yours is the first page I came to and I’m so thrilled! I have no idea why the bean flour may need a binder, but I’m a little curious. Anyway, I’m about to browse your site and I just wanted to say thank you for sharing this (it is getting made tomorrow) and ask about the gum. Hey there, I haven’t played around much with the different gum additives to gluten free flours. I tend to buy the ones with it already mixed in. I hope someone else comments here with some advice. I liked your recipe…but after three attempts I can finally say I’m onto something here..getting better and better each time. The trick is to use enough flour so that you can manage the bloody dough!…I also bought in bulk, garbanzo bean flour..much cheaper that way. So it takes a lot more of the flour on hands and rolling pin then I thought it would…and the cooking time..to get it to be more on the crisp side was about 15 minutes at 450*..but to be watched closely…also the flatter the better…. 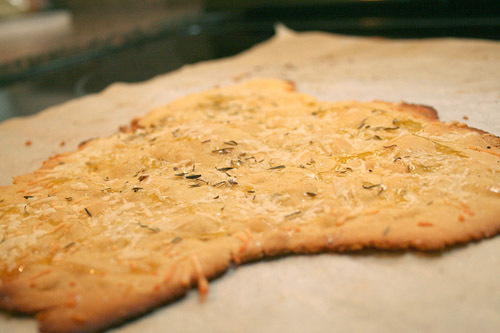 I used fresh cut up rosemary and parmesan cheese..also added sunflower seeds..and sesame seeds. I have thyme on hand now for the next batch! I’m so glad you liked it! Thanks for the comment. Lovely, a great thing to do with the bean flour from Bob’s Red Mill. 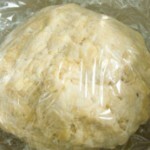 I prefer it now, to the GF free flours because of its high protein and fiber content. Leaves me feeling satiated and full after eating. Tried it with marjoram and fake cheese (also DF) and Kalamata olives. Tried it also with chopped kale and olive oil and salt.